The Kenya Experience offers the best value luxury Kenya Safari available and is an ideal safari for the first-time visitor with limited time and money. Arrive in Nairobi and drive straight to The Ark where you can relax and watch the game come to you. Two days are spent game viewing in the Samburu game reserve, before proceeding to the Rift Valley lakes of Nakuru and Elementaita. The highlight of this safari is the two days on the open plains of the Masai Mara, before returning to Nairobi for the last night at the Nairobi Serena Hotel with a farewell dinner at 'The Mandhari' restaurant. 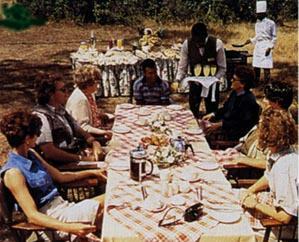 This Safari may be combined with an exotic extension to Mombasa, Zanzibar, Tanzania or Uganda. Your overnight Swissair flight across the Atlantic arrives in Zurich in the morning. The full day is at leisure before boarding your overnight Swissair flight to Nairobi, Kenya. Your Wildlife Safari guide will meet you on arrival in Nairobi. Breakfast, safari briefing and departure, driving through the farming highlands to the Aberdare Country Club. Transfer to The Ark, your luxury 'tree hotel' built deep in the heart of the Aberdare forest. Afternoon and night game viewing from the comfort of The Ark, as wildlife gathers around the floodlit waterhole. Overnight: The Ark. (breakfast, lunch & dinner). Drive north this morning to the Samburu Serena Lodge, built along the banks of the Uaso Nyiro river where you will spend two days game viewing. 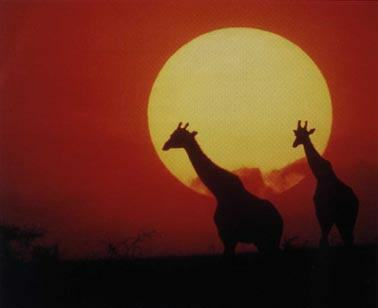 The Samburu Game Reserve is home to some unique wildlife species including the oryx, gerenuk and reticulated giraffe. Overnight: Samburu Serena Lodge. (breakfast, lunch & dinner). Drive south along the Great Rift Valley to Lake Nakuru, the world famous flamingo sanctuary. Lunch followed by bird and game viewing along the lake shore. The wildlife sanctuary is also home to the endangered black rhino and Rothschild giraffe. Overnight: Lake Elementaita Lodge. (breakfast, lunch & dinner). 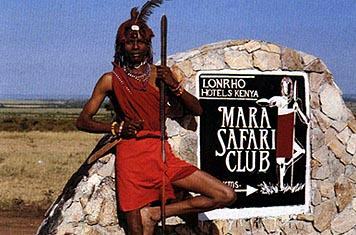 Continue this morning to the Mara Serena Lodge, built on the summit of a hill overlooking the vast plains. 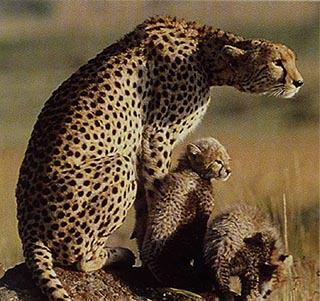 Two days of game viewing in the Masai Mara Game Reserve where vast herds of wildebeest and zebra wander across the open plains often stalked by lion, leopard and cheetah. 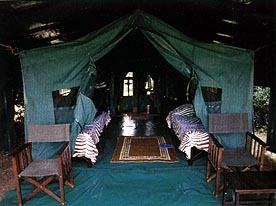 Overnight: Masai Mara Lodge. (breakfast, lunch & dinner). Return to Nairobi this morning, arriving at the Nairobi Serena Hotel. The afternoon is free for optional sightseeing with a farewell dinner at 'The Mandhari' restaurant this evening. Overnight: Nairobi Serena Hotel. (breakfast, dinner). Morning transfer to Nairobi airport for your Swissair day flight to Zurich where you will spend the night before boarding your Swissair flight home the next morning. (breakfast). Luxury accommodations with private bathrooms. Full breakzfast in Nairobi with all meals on safari. WINDOW SEATS THROUGHOUT THE SAFARI. Services of experienced drivers/guides throughout. Welcome safari briefing and breakfast in Nairobi. Farewell dinner at 'The Mandhari' restaurant. All National Park fees, government taxes and charges. All airport transfers and airport porterage in Kenya. Binoculars provided for use on safari. 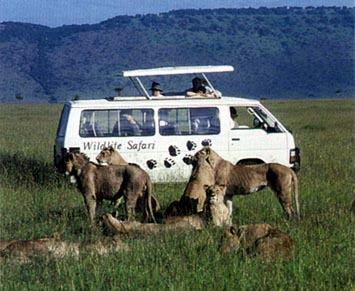 Services of a Wildlife Safari tour manager in Kenya. Exclusive guidebooks, stamped postcards and safari hat.